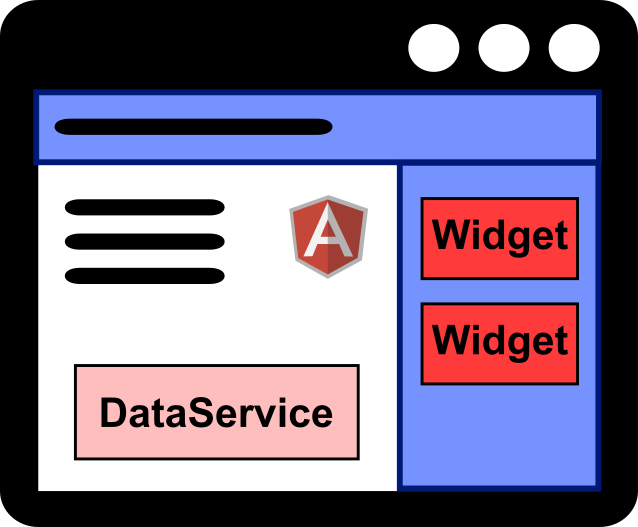 Angular2 is great for SPA (Single Page Application), but sometime you need to use multiple apps in a page because you just want to add some Angular “widgets” apps. If you want to use shared data, you can use a service class, but the dependency injection in this case is not easy as it looks. Here come the hard part: every bootstrap execution will create an instance of the DataService type, but we want only one single instance. This solution isn’t free from any defects. The DataService instance is injected by the injector of the first widget who calls the factory, so the service belongs it. But this pattern is easy to write and understand.